Sinha also hit out at Prime Minister Narendra Modi for decisions such as demonetisation, implementation of the Goods and Services Tax (GST), and asked him to come clean on the Rafale deal issue. "Why don't you (Modi) come out and give a clarification (on Rafale). 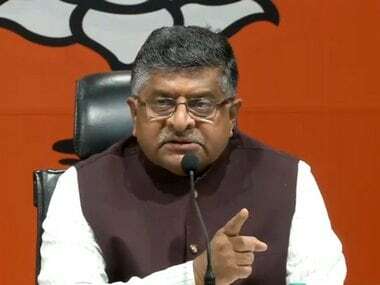 If you come forward and answer the questions raised on the Rafale deal, will your 56 inches chest become six inches," he told PTI in an interview after joining the Congress. On being fielded by the Congress from Patna Sahib, Sinha said he has the blessings of the people who fondly call him "Bihari babu". Asked if the "Bihari babu" will make hat-trick of wins from Patna Sahib, the actor-turned-politician said, "Hope, wish and pray. 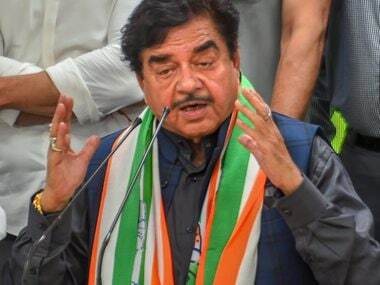 The moment you ask people who is Shatrughan Sinha, people will say he is from Patna, he is our Bihari babu," he said. Asked about his impending electoral battle with senior BJP leader Ravi Shankar Prasad, Sinha said he regards him as a family friend and has respect for him. "He (Prasad) has four years in Rajya Sabha and some people may think he is fighting safe but even if he is fighting safe, so what. My best wishes to Ravi Shankar Prasad ji. Let the best man win. But when I say this, it is for the people of Patna to decide. Let them finalise it,” he said. 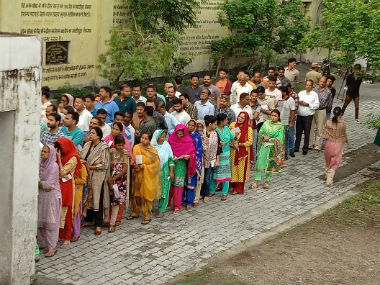 On taking on the BJP's formidable election machinery, Sinha said, "I need not worry... the people's blessings and their confidence counts more to me." He said he has always held the Congress and the Nehru-Gandhi family in high-esteem. Sinha said that in his book 'Anything but Khamosh', he has stated that former prime minister Indira Gandhi was very fond of him and he always used to get affection from her. "I have written in my book that had she been alive, I would have been in the Congress party only and not in any other party. I have always held the Nehru-Gandhi family and Congress in very high esteem," he said. Sinha asserted that even when he was a loyal, staunch supporter of the BJP, he never uttered a word against former Congress president Sonia Gandhi and the Nehru-Gandhi family. "I see them as nation builders. That family has contributed so much to the country," he said. On joining the Congress with a vision to serve in the long term, he said, "Hope so. I don't do things overnight. I don't do things in josh but hosh. I have been thinking over it, observing and watching BJP people's behaviour or rather ill behaviour, their performance or rather non-performance." "I have been seeing the BJP's democratic system turn into an autocratic system. Gone our the days of collective decision. It is certainly not the party of Atal Bihari Vajpayee because you see what is happening to people like Advani ji and others Murli Manohar Joshi, Yashwant Sinha, Arun Shourie," he said. LK Advani was among several veteran BJP leaders who were dropped from their parliamentary seats this time by the party. 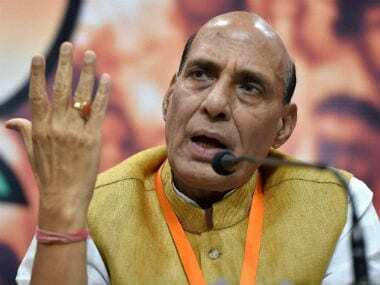 It seemed that the BJP decided to do so to ease out several of its old guards from electoral politics after keeping them out of government by introducing an age bar of 75 years. "As far as I am concerned...They say either my way or the highway, I say I'd rather go the best way to the best party," the 73-year-old leader said. He also heaped praises on Congress president Rahul Gandhi. He is a dynamic, "tried, tested and successful" leader and the face and future of India, Sinha said. "He (Rahul) does what he says and says what he does,"he said. Asked if his fight from Patna Sahib this time is the biggest political challenge of his career, Sinha said, "Not really. 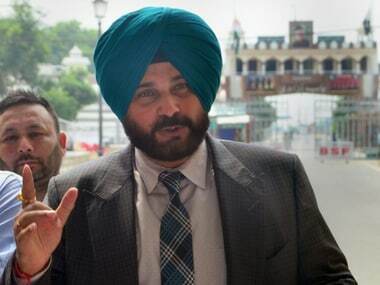 I have got full faith in my people - people of Patna Sahib and the family of Bihar. They are also very fond of me and say I'm their Bihari babu...So this time also people's blessings are there with me," he said.